Here’s my look at what’s coming out from DC Comics for October 2018. A full list of solicitations is available here. Out this month are the first issues of Vertigo’s revivals of “Lucifer” and “The Books of Magic,” as part of a “Sandman Universe” line. I suppose it’s also a way to try to revive the Vertigo line in general. Vertigo’s popularity peaked back in the 90s, before the recent explosion in webcomics and creator-owned/independent comics. 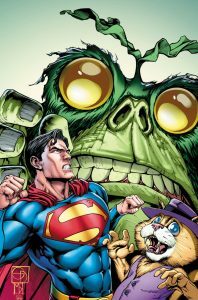 “Superman/Top Cat Special” #1 (2018). Art by Shane Davis. DC’s releasing another round of Hanna-Barbera/DCU superhero crossovers this month. The crossovers this month: Deathstroke/Yogi Bear; Green Lantern (John Stewart)/Huckleberry Hound; Magilla Gorilla/Nightwing; and Superman/Top Cat. Or at least DCU-ized, darker versions of the Hanna-Barbera characters. Magilla’s involved in a murder mystery, while Huck’s protesting the Vietnam War (his story’s set in the early 70s). I note trying to “DCU-ize” the Hanna-Barbera characters can sometimes be hit and miss. Also appearing in all four issues is a Secret Squirrel storyline (no art available for Secret, unfortunately). 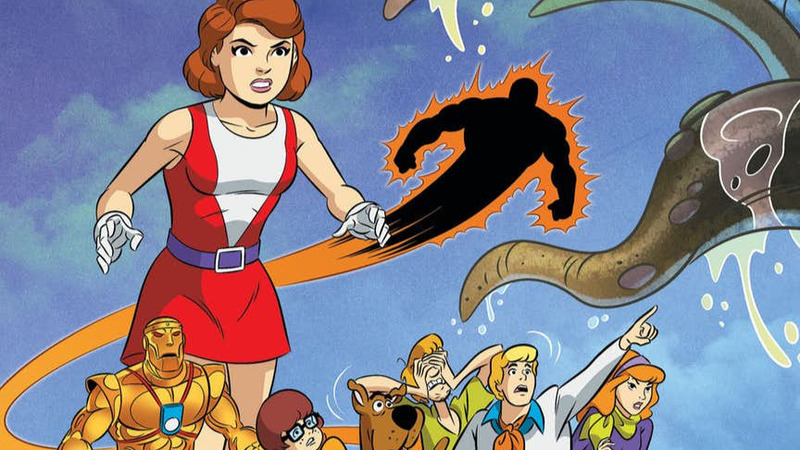 This month’s “Scooby-Doo Team-Up” features the Doom Patrol! I wonder if Beast Boy will be mentioned, as that was his original team (before joining the Titans). Meanwhile, the regular “Scooby-Doo” book is definitely solicited for this month. The issue sees the Mystery, Inc. gang go to a monster truck rally. Previous Post:What digital services do public libraries offer?